In a statement issued on Sunday, former Supreme Court judge V.R. 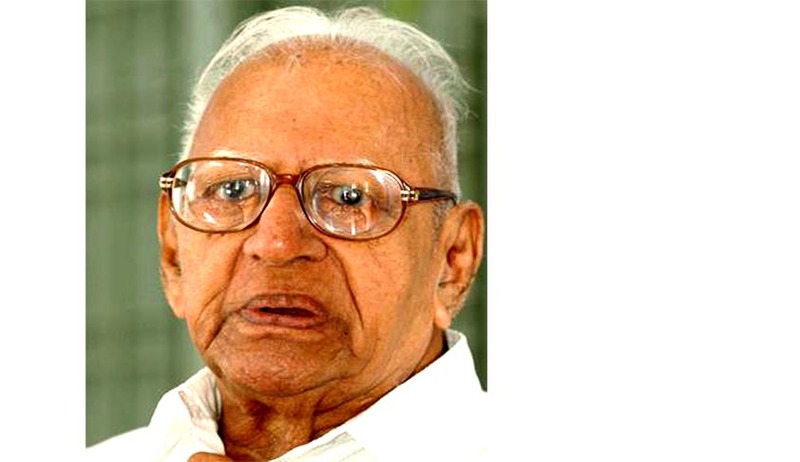 Krishna Iyer expressed his dismay over the Government’s stand against elevation of senior advocate Gopal Subramanium as a Supreme Court judge. He said that he regards PM Narendra Modi as a great statesman, good administrator and a wonder as the ruler of the State, that he expected a great Gandhian ruler from him; however, the decision to eliminate Subramanium from the appointment disappointed him. In an unprecedented decision, the collegium had suggested names of two previous solicitors general, Gopal Subramanium and RF Nariman, to the government for appointment as judges of the Supreme Court. The Government last week however, turned down the appointment of Gopal Subramanium as a Supreme Court judge, while clearing the names of senior advocate Rohinton Nariman and the Chief Justices of the Calcutta and Orissa High Courts, Arun Mishra and Adarsh Kumar Goel. The name of the former Solicitor General of India has been sent back to the Supreme Court collegium headed by Chief Justice of India, R.M. Lodha for reconsideration. Subramanium has functioned as Amicus Curiae in several cases, charging more than Rs.5-lakhs per appearance as a Senior Supreme Court Advocate. Subramanium was an Additional Solicitor General from 2005 to 2009 and later Solicitor General up to 2011. He was also chairman of Bar Council of India for 2010-11. He was lead counsel for CBI in the 26/11 Mumbai terror attack case that led to Kasab’s conviction. He also represented the CBI in the 1993 Mumbai serial blasts case and was prosecution counsel in the Parliament terror attack case. Subramanium’s name has already been sent back to the collegium for reconsideration. If the collegium resends Subramanium’s name for the post, the ministry will be bound to approve it. The impact of this appeal by a former judge himself will be discernible only in the coming days.